PITT artists' pastel pencils, with their oil-free leads are used by artists not only as the perfect complement to pastel crayons for elaborating details, but also on their own. PITT® pastel pencils have a compact lead containing the highest quality pigments, they are ideally suited for drawing lines and shading as well as blending. Contains 60 pastel pencils. Showing 3 of our total 4 reviews, with an average rating of 5 stars. 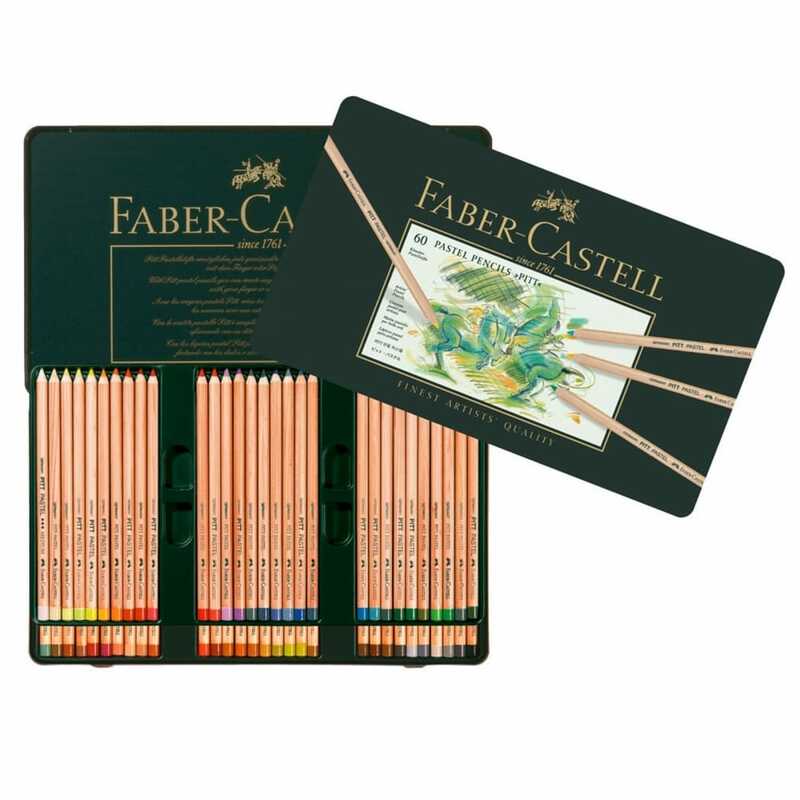 Read all 4 reviews for Faber-Castell Pitt Pastel Pencil 60 Tin. I find that these are the best pastel pencils for doing my pet portraits. These pencils from Faber Castell are a joy to use.